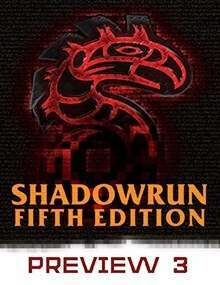 Shadowrun, Fifth Edition is coming! In fact, a piece of it is already here! This third free preview provides a taste from the Creating a Shadowrunner chapter, covering things like concepts, roles, and other basics for characters in Shadowrun. This title was added to our catalog on May 30, 2013.